I was recently able to go to Kofu and enjoy a little food and drink. Kofu is a pretty quiet place with nothing really close to the station. Everything is a bit far from each other requiring a car to really see a lot. They are famous for wine but they also have craft beer. I made it my mission to try to get to Hops and Herbs, a brewpub run by Outsider Brewing with good beer. 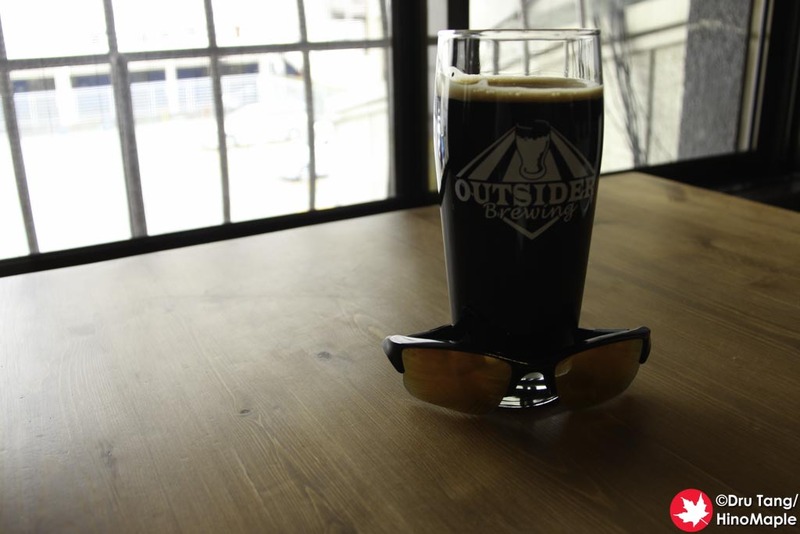 When I first heard of Outsider Brewing, I originally thought it was a foreign brand of beer until I kept hearing about the brand. I was avoiding it in Japan because I thought I could get it in N. America but once I found out that it was a Yamanashi brand, I had to try it. The more I learned the more I was intrigued but also confused. 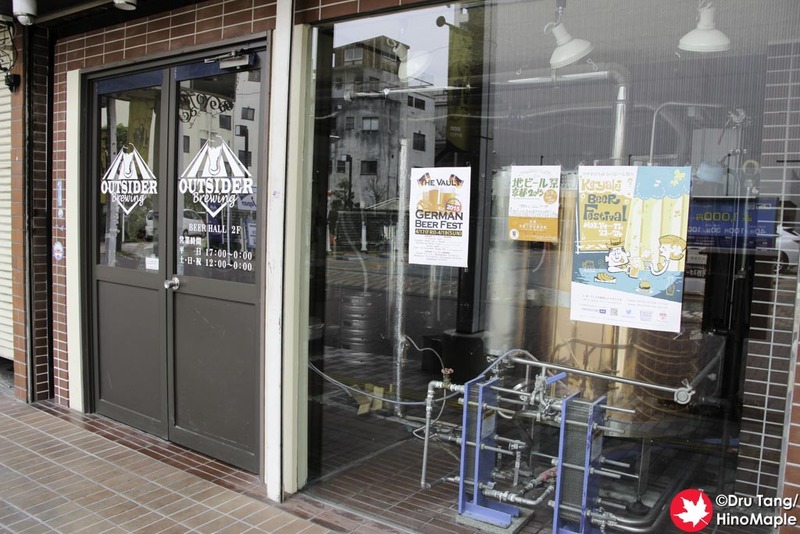 Outsider Brewing is a brewery run, by what I can tell, Satoshi Niwa, who is the head brewer. I heard that an Australian started the company and was still there but I really couldn’t get any information on that at all. 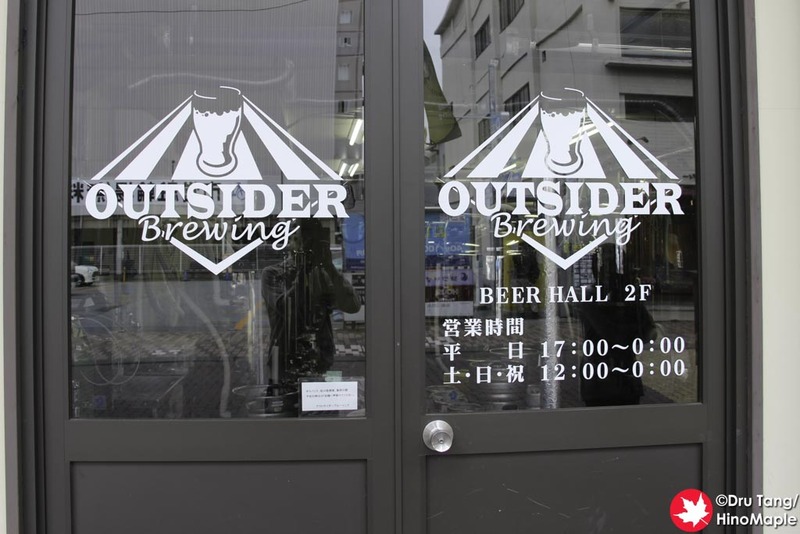 They have been winning awards over the past few years and recently won the Pilsner award at the 2015 Japan Brewer’s Cup. With this in mind, I had to visit their brewpub, Hops and Herbs. It isn’t difficult to find Hops and Herbs but it can be a maze at first. The streets are long and when you had been drinking the day before, it can be a challenge to find it. On the first floor, you can get a peek at the brewery. I was happy to just see it but I hope to get a tour in the future. Once you head upstairs, you are at Hops and Herbs. The brewpub is a nice little place that is very spacious. They have a lot of beer on tap and the beer was really good. I was a little confused with the names of some of the beers as one was called Bulldog. With so many ___dog beers, I was confused as to whether it was their beer or another company’s beer. Either way, I didn’t try it as it was a barley wine and I was not in the mood for very strong beers. The main point of the menu is the beer. I had their Dark Side Stout and the Bunyip Australian IPA. Both were good but not easily enjoyed as I was still recovering from the Nomiaruki, which I visited the night before. I actually wanted to visit Hops and Herbs the night before but passed out due to imbibing a little too much. Thankfully I wasn’t too hungover so I was able to enjoy the beers which were spot on and well worth the money. When it came to the food, it was also very good. It wasn’t cheap but it was good. The hot wings were actually hot and I needed a little break in between. 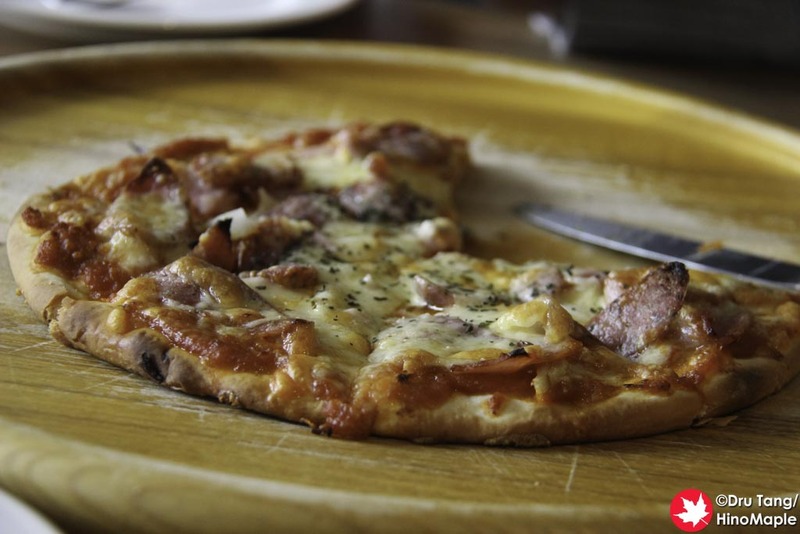 It did help my spirits and prepared me for the next course, the pizza. The pizzas are nice but a little small for what you pay for. Again, the quality was there and I would order it again in a heartbeat, even with the price. Overall, Hops and Herbs is a great place to visit for any hop head. 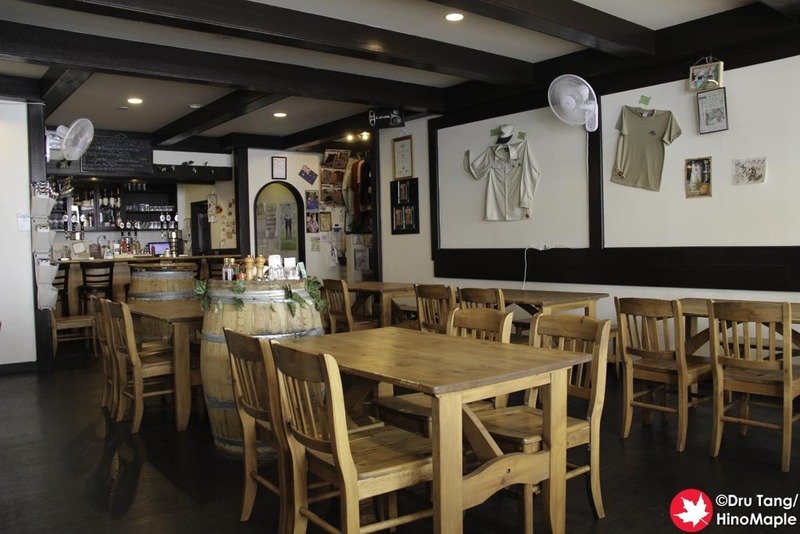 If you love beer, especially craft beer, you have to visit Hops and Herbs when you are in Kofu. 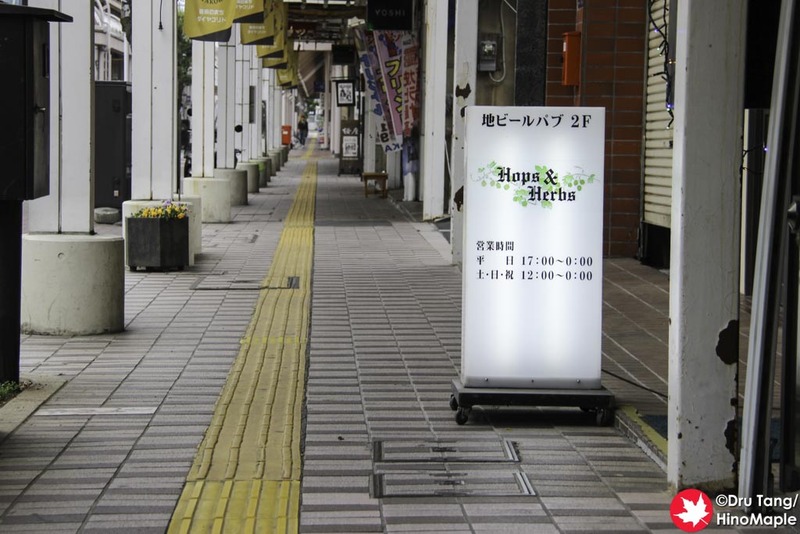 The only problem is that there really isn’t much to see or do in Kofu except visit Hops and Herbs. You can be sure that I will be back again if I am ever in Kofu. 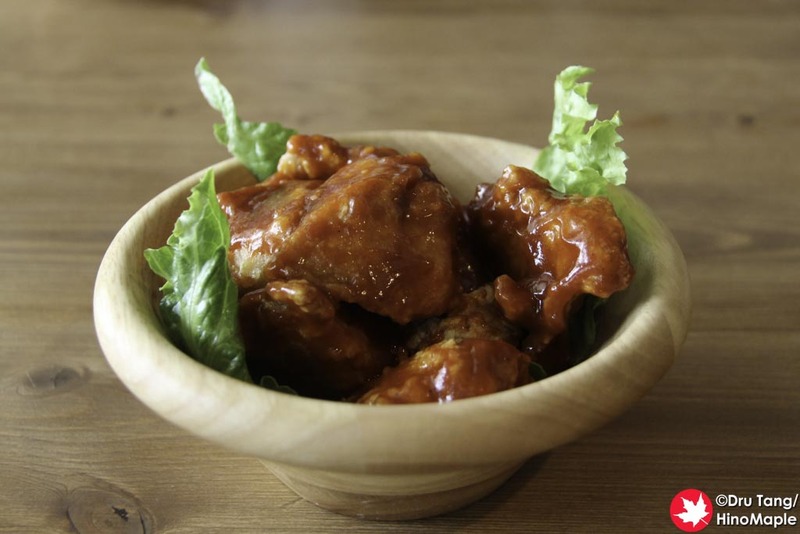 This entry was posted in Chubu Food and tagged Brew Pub, brewery, Brewpub, Bunyip Australian IPA, Bunyip IPA, chicken wings, craft beer, Dark Side Stout, Hops and Herbs, Hot Wings, japan, Kofu, Outsider Brewing, pizza, pub, Yamanashi by Dru. Bookmark the permalink.